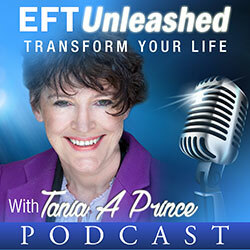 I recently interviewed EFT Founding Master and author Jacqui Crooks on the subject of rebirthing for my podcast, EFT Unleashed. Below is the transcript from the interview. For many people birth can be a traumatic experience. It can be the root of many issues that they experience later in life. Rebirthing is the process of clearing the trauma and negative beliefs picked up from the birth and replacing it with the birth you would have rather had. Tania: Hi, my guest today is Jacqui Crooks, one of the pioneers in energy psychology. She’s an international speaker and trainer and EFT founding master. 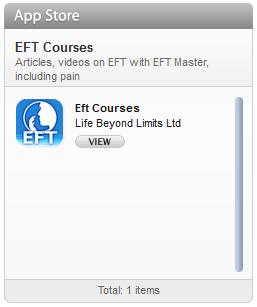 Jackie runs retreats in interesting places around the world, and she trains EFT worldwide. 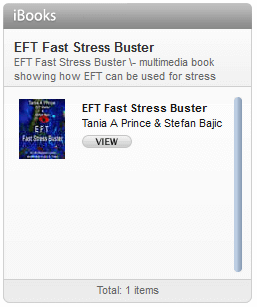 She’s also a speaker at conferences and one of the authors of the book, EFT and Beyond. So, welcome Jacqui. Jacqui: Hello Tania, nice to talk to you. 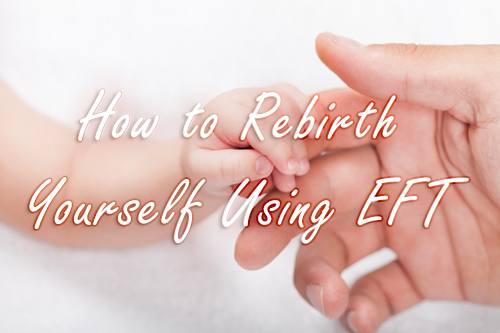 Tania: I know we’re going to be talking about EFT and Rebirthing today. So it is an area you specialize in. Tania: yeah, I was going to say that. So what is rebirthing for anyone who doesn’t kinda understand that concept, what is rebirthing? Jacqui: Well, I think the simplest way to explain it is to say that we’re giving new information to the subconscious so that it can use that to help us deal with life differently here and now. Because my understanding is the subconscious decides some ways of working or ways of seeing the world really earlier on and then it will just continue to do that. So you’ll be looking at the world maybe at 50 years old with the eyes of one-year-old or two-year-old or maybe even the eyes of the fetus in the womb who is feeling a lot of stuff from her mother and making it mean something about her. And so if you can rebirth, you can go back, give the subconscious new information that it’s not holding at the moment and say when you’re looking out to the world and trying to make sense of it, this is the information that you refer to from now on. Tania: Yeah, now I see how brilliant that is to do really because so many people kind of live an existence that is about survival rather than quality isn’t it? Jacqui: Absolutely. And that comes down from the survival strategies that our families have been dealing with for hundreds of years you know they’ve created ways of surviving in the best way that they could, but those strategies don’t work in say 2017 which is when we’re doing this interview. And I would say to clients it’s a bit like trying to fit a 54-year-old into a four-year old’s coat, it doesn’t do the job, it doesn’t fit, and it actually constrains you and when you’re trying to fit into those early survival strategies, when you’re living a completely different life, that’s exactly what it’s doing, it doesn’t fit, it doesn’t work and it’s constraining you from living the life that you could live. Tania: Yes, I think that’s why we keep repeating the same old patterns, isn’t it, it’s repetitive patterns in our lives. So, I think you have given quite a compelling argument for why someone should rebirth themselves. How did you discover this was useful? Jacqui: Well, it’s working with clients really. I mean, I could remember one lady, we were working on severe anxiety, and we got back as far as she could remember and she said to me you know “my mother said I was born anxious” and at the time I said that “no, I think you just learn to be anxious”. The more I feel about it, the more I thought if she was in the womb of an anxious mother, she’s going to be flooded with Adrenalin constantly while she was in the womb. So it’s a bit like a drug addict child being flooded with the drug, and when she’s born like a drug addict child, her body can actually make that drug, her body knows how to make that drug and has that ability. So if the child is used to adrenaline in the womb when it’s born, it’s body will just take over and create the adrenaline that it’s used to because that’s how it thinks it has to be because that’s the only experience it’s had. Tania: yeah. And our nature, of course, prepares us for the life it thinks we are going to have, doesn’t it really. If your mother is anxious of course, nature is going to be preparing you to come into the world which is life threatening. Jacqui: Absolutely and it’s really interesting when you talk to people. I mean it can be men as well, but it is often women, do have a deep anxiety and they say “yes, my mom had it,” I said “what about your grandmother?”, “Oh, yes she had it too, ” and you can see it going back through the generations. And there was probably a very good reason for it at the time it was first created, but then it is passed down to people who are living different lives, where that high level of anxiety is probably not useful. And the other reason that I started thinking about this was that I was working with two different people over a period of time and both of them working on severe rejection phobia, so severe that they didn’t have friends if they could help it and they certainly didn’t have loving relationships because the fear of losing them was so great, they just didn’t want to go there. And we’d gone back and cleared multiple things all through their lives back as far as we could remember and in desperation actually to one guy, I said, “are there any stories about your birth?” cos we’d gone back as far as he could remember and he said “Oh yes, my mom tried to abort me.” Light bulb moment. So we worked on clearing that, and suddenly the whole thing started to move because that feeling was the ultimate rejection isn’t there. The fact that he had a great relationship with his mother now still hadn’t overcome that first “I’m not supposed to be here, my mom doesn’t love me, I’m not loved.” And really, what he was saying all along was “I’m not supposed to be here.” But you can understand that, can’t you? And so I tried with the other guy, I said to him, “Are there stories about your birth?” And he said, “Yes, My mom tried to abort me.” He said I was a twin and my brother died, and I survived. So adding to all of that he got survivor guilt and the loss of the other half of himself, the twin. So once we cleared stuff around that, life changed dramatically for both of them. And so that’s when I started really experimenting and thinking what if I go back to that with people how is that going to change things, does that make things happen more quickly, more easily? And my experience is that the earlier you go back, the more you clear the stuff that wasn’t yours originally that you picked up in the womb, the more good information, useful information you give to the subconscious the quicker it is to make changes. Tania: Alright, cos a lot of people often think that time heals don’t they really, they think what ever has happened at that point in time perhaps will heal with time, but what’s your thought on that? Jacqui: My thought is not to that it heals at all, it sits there like a little festering boil, but you consciously forget about it. Tania: And of course births are highly traumatic they are not the most relaxing experience for mother or child. Jacqui: And that’s a really good starting point when you’re doing rebirthing. Before I went into any rebirthing things, I would clear the traumas of the original birth. And even if the client thinks it was fine, there were no stories about it, nothing that the mother has mentioned, I will still go, “Even when my mother may have been anxious”, “Even though I might just felt the anxiety”, “Even though she was probably uncomfortable in pain and didn’t know whether I’d survive”, so all the things that might have been there, I will put in even if we don’t know whether they are there and so the subconscious will go in and check, and if they are there they’ll clear them. Tania: yeah, that’s a brilliant way to work, isn’t that really, just kinda tossing out those statements and anything that the person resonates with is going to have an impact, isn’t it really? Jacqui: That is it because you don’t have to know consciously. That’s the great thing with doing this because you’re really working with the subconscious when you’re doing EFT, so you’re giving your subconscious permission to do what’s necessary, makes all the difference; it will go in and do it. The subconscious is always on your side; it’s always doing the best it can for you. If you tell it what the best is, it will do it. Otherwise, it will just do what it thinks is the best, which might not be the best thing for you. Tania: So Jacqui, if I came to your clinic and I wanted to rebirth myself, what would be the first thing that you would do with me? Jacqui: The first thing would be to ask if there were any stories about your birth because if there are then, we will clear those to start off with. Tania: Sure, I’ll absolutely love to. (This is an EFT Tapping Script – If you are not familiar with EFT, you should look through the EFT Basic Instructions and then come back to this part of the interview. Then you can follow along or even tap with us). Jacqui: I’m not sure what my first birth was like. Tania: I’m not sure what my first birth was like. Jacqui: But it’s likely my mom was anxious. Tania: But it’s likely my mom was anxious. Jacqui: she was probably in pain. Tania: she was probably in pain. Jacqui: And I was probably feeling that. Tania: And I was probably feeling that. Jacqui: And creating beliefs about myself and the world because of it. Tania: And creating beliefs about myself and the world because of it. Jacqui: And I deeply and completely love and accept myself. Tania: And I deeply and completely love and accept myself. Jacqui: And everyone else involved in my birth. Tania: And everyone else involved in my birth. Jacqui: Even though that’s how it was. Tania: Even though that’s how it was. Jacqui: And I created all sort of beliefs. Tania: And I created all sort of beliefs. Jacqui: Based on whatever went on. Tania: Based on whatever went on. Jacqui: Of anything that I picked up then. Tania: Of anything that I picked up then. Jacqui: That’s no longer for my highest good. Tania: That’s no longer for my highest good. Jacqui: Love and accept myself anyway. Tania: Love and accept myself anyway. Jacqui: And mostly when I’m tapping with clients, I just tap on the karate chop point I mostly don’t tap on the other points, so I’d probably stop at that point and just talk a bit. And sometimes with clients, things just pop up. Anything, with you Tania, anything? Tania: Yeah, It was interesting as soon as you started, that maybe my mother was anxious, my thoughts went right back to, right I would say she wasn’t in a happy marriage, and she’d actually left Ireland, so no doubt that she was anxious. And no doubt young and having that experience, I think that resonates with me when you hit on those words. Although I knew that, you can know stuff but not know. Jacqui: it’s knowing it on a conscious level but not actually going in and working out what effects that might happen in other places. Tania: yeah, interesting, very interesting and I also think very profound and deep I felt the depth in that. Jacqui: I didn’t have to know what it was that went on, I just had to say something like this, I’ll say to the subconscious and see it ferreting through the filing cabinet to find anything that matches to what you are saying. Tania: That’s the beauty of language, isn’t it, when you use that kind of non-specific language. It really has a profound impact, a very good communication and it allows the unconscious mind to go and hunt because it knows everything about us, doesn’t it? Jacqui: It does, it just giving it permission to use that. So once I’ve done that, then I would go in, and we would tap on the time in the womb. Specifically, so we can do that if you like to do that? Tania: I would love to do that. I didn’t think I was getting this big therapy session, but I’d actually really love to. So I’m going tap on my karate chop point and if anyone who’s listening who might want to do this with us is welcome to do that. Jacqui: And I just like to remind people that if anything comes up while we’re tapping, all they need to do is keep tapping. Yeah, sometimes you’ll hit deep emotions, so that doesn’t mean they have to be painful but there are often deep emotions stored there, just keep tapping till the emotions fade. You don’t even have to worry about finding the words because words are only helping you get to the emotion. Emotions come up just keep tapping till they fade because they will. Tania: yeah, of course, better out than in. Jacqui: Absolutely, cos you’re not creating something that’s not there. What you’re actually doing is uncovering what’s already there and giving it permission to go. Because what we’ve normally done is shove it down because we didn’t know what to do with it. Tania: Yeah and almost like its background noise to us, isn’t it and it’s just there, and we‘re so used to it we don’t even stop it. Jacqui: Absolutely. OK, so for people who are listening I would often do the ancestor work first and clear the stuff that we’ve picked up from our ancestors, then I will go in straight into this. And I did it with a few clients from the first session because it makes the rest of the sessions much quicker and easier. So, okay Tania, I’m talking. Tania: Yeah, I am talking. Jacqui: I was feeling everything that my mom felt. Tania: I was feeling everything that my mom felt. Jacqui: I was picking up stuff from their parents. Tania: I was picking up stuff from their parents. Jacqui: And everybody else involved. Tania: And everybody else involved. Jacqui: And even though I felt all of that. Tania: And even though I felt all of that. Jacqui: All sorts of beliefs. Tania: All sorts of beliefs. Jacqui: I’d like every part of me to know. Tania: I’d like every part of me to know. Jacqui: To make those decisions. Tania: To make those decisions. Jacqui: Could do something with that stuff. Tania: Could do something with that stuff. Jacqui: And maybe that’s me. Tania: And maybe that’s me. Jacqui: Love and Forgive and accept myself. Tania: Love and Forgive and accept myself. Tania: And everyone else involved. Jacqui: (underneath the eyes) letting go now. Jacqui: And then I would usually say to the client “so, anything come up while we did that?” So Tania, anything come up while we were doing that? Tania: Well, I did feel very relaxed and very into that. Yeah, I think at the beginning some stuff just came up, when you included about my parents and all that, the issues of all they were experiencing at that time. And you know, I’m actually close to my parents, very close with both of them but they really went through traumas in their lives, so I totally resonate with that idea of this being about them and everyone because I think everyone deserves that, whatever has happened, they deserve something good, in a way. Jacqui: I think so, because everybody is doing the best they can with the little information they have, and sometimes its not the very best but it still is the best they can do, and I sort of like to see those stacks of that ancestors behind us cheering us on as we begin to clear stuff that they didn’t have the means of doing. Tania: Absolutely. When you kind of included the ancestors as well you know I am very familiar with the fact that a lot of ancestors died in a big disaster, you have that impact us. So, those words did really at some level resonate with me, the whole coming together and deserving aspect and everyone and all the efforts they put in so powerful stuff. Jacqui: yeah. And sometimes people will come up and say “oh yeah, I just remembered this, oh this happened, ” and then we’ll just go and tap on that as an individual thing that came up. Sometimes, you just sit there and just say, no, but I could feel it disappearing, or I can feel it shifting off, or I can feel the stuff that isn’t mine. Tania: Well, I’m so glad that I’m doing an audio interview cos there are actually tears streaming down my face. Yeah, but I did not expect that which actually says something about the wording and how you just did that, to me it’s very awesome, very poetic, I have a big appreciation of the poetry of language, but powerful stuff. Jacqui: It’s the language, it does make the difference to EFT, I think. This and the ancestral stuff is the most powerful work that I do because when you’ve cleared the stuff that isn’t yours and you’ve cleared the belief system that you’ve been running that was somebody else’s, and you are free to look at what’s going on in your life right now. And make decisions based on what’s going on for you right now not on stuff that happened to somebody say 600 years ago, or that you made in the womb about your importance or not importance in the world. Tania: So what are the kinda differences people have experienced in doing this work, you know, are there any stories you can share about what people have shared with you? Tania: And that, of course, is the beauty. You are just automatically different without effort, isn’t it? Jacqui: and that’s what I like. I like it without effort. If you have to struggle it means there’s still in place that needs to be released. If everything is released that needs to be released, then life flows, and you flow with it. And so after I’ve done this, this part here, I get people to do what I call a “Magic Wand Birth.” So to create the birth, if they could wave a magic wand how would it be, how would they be feeling, how would the mother be feeling, who would they like to have been there? And it varies dramatically for different people you know, and sometimes people however much work we’ve done will go “do you know what, I really don’t want to be born to my mom, ” and that’s absolutely fine because sometimes you just know that that is never going to work. You know there’s just not enough work you can do because it’s still going on with your mother or whatever. So I would just say then, “OK so who would you like to be born to? Who gives you that impression of motherliness that you think would be great for you?” And it could be yourself; it could be a grandmother, it could be a friend you know who’s great with their kids. And if you can’t think of anybody physical, choose an angel, choose a guide, choose a higher self, you can choose anything you like. And it doesn’t happen often most people, if we’ve done enough work, are able to go “yes I want my mom but I want her in this new way where she’s not carrying all the grief and not carrying all the stuff, and that will work. But it’s about not being prescriptive; it’s about you go with whatever… So I don’t know how are we doing for time now? Do you have time to do a rebirth? I was not intending to do it. But I’m happy to do it if we do have time, but I don’t know. Tania: In for a penny in for a pound, is that? I’m tapping and of course putting out Jacqui’s message from before, if any emotions come up continue to tap until they clear. Jacqui: And if anybody wants to join in with this, what I would say is don’t go through the rebirth until you’re comfortable with it. So if as you start doing it, you start getting lots of “yes”, “buts” and “what ifs”, then stop and deal with those first. Because what you don’t want to do is to do a rebirth and program something not useful for yourself. So if you go into doing a rebirth and it’s not working, if you want, come straight out, tap on whatever needs clearing because it’s like playing a piano; if you never correct that particular mistake it becomes part of the memory and you’ll always play that… This is about when you’re actually going to the rebirth, having it as good as you can get it and knowing you can always redo it if you need to. Okay Tania, if you’re going to have a magic wand and you could create exactly the birth that you wanted where would you be born, Inside, outside? Tania: Oh, that’s an interesting option isn’t it. Actually, this is so strange I was visualizing a scene kind of inside with beautiful white fluffy walls, very kitsch, I guess that’s the right word if you know what I mean feathers and Malibu feathers on the walls. Jacqui: No, but this is assessing the parts of you that probably got shut down for some reason, so it’s balancing you out form your non-white and pick fluffiness to increase your white and pick fluffiness. Tania: Oh that’s so funny. Jacqui: So would you like to be born to your mom? Tania: Of course, yes. She’s the most wonderful woman. Jacqui: How would you like your mom to be feeling? Tania: Happy and joyous. I know she would’ve been happy and joyous she was the most tremendous mother, but I just want that she’ll be feeling so secure and supported. Jacqui: Yeah, great. So do you want anybody else to be there? Tania: No, I think my mom would be that person I’d want to be there or maybe dad as well, but he’ll need to be a very relaxed version of dad. Jacqui: So let’s give him some resources, what would you like to give him so that he can play his part? Tania: let him be in a more contented place point in time in his life at that point in time. Tania: Yeah, because he loves us all to bits but I think he went through a lot of stress in his life, so yeah that he be contented. Jacqui: So how about him being more secure and supported too? Tania: yeah, that would be lovely as well. Jacqui: because you know, it’s hard to support somebody if you’re not feeling supported yourself, isn’t it? Jacqui: So how would you like to feel as a baby? Tania: Yeah, happy, joyous, curious. Jacqui: yeah. So if there was any information we could give that baby that she would keep deep within herself for the rest of her life, what will be useful to know? Tania: no, that would be sufficient. Oh no, I would have put safe in there as well. Safe and loved. Jacqui: Yes. I was going to add that if you didn’t because those are the two things that we need to thrive really, aren’t they? Jacqui: We are just going to tap on this new birth if that is OK? Jacqui: I’m choosing this birth to be different. Tania: I’m choosing this birth to be different. Jacqui: I’m choosing to be born inside. Tania: I’m choosing to be born inside. Jacqui: In that pink and white room. Jacqui: (underneath the arms) with the right people. Tania: with the right people. Jacqui: So anything came up with that Tania? Tania: No, but I feel very good. Jacqui: What we’re going to do now is to imagine, think, being curled up in your mother’s womb, you can see the birth canal is nice and wide so you can slide out of it without any struggle, it’s no surprise we believe that life is a struggle because it was for most of us, so nice wide channel. So Tania, whenever you feel ready you can just zoom out of that channel in your own time, and maybe your dad could catch you and pass you to your mom. And then you can you spend some time with them. When you’ve done that just let me know that you’re done. Tania: oh, I’m done that was lovely. I imagined being shot out and caught like a football. Jacqui: I had one client who came out doing the cancan. Tania: I think my subconscious has a little sense of humor on that one. But I actually feel a very good vibration with this, so I feel the impact. Jacqui: I’d like my subconscious to know now. Jacqui: And this is the birth that starts it. Tania: And this is the birth that starts it. Jacqui: So if somebody was going through that birth in the womb and they were finding it difficult to come out or whatever, that just let them know that there’s something else that needs working on. So you wouldn’t revisit the actual birth until you’ve gone back and dealt with whatever was going on for you. Because sometimes if it’s particularly traumatic, yeah you’d feel as though it’s probably OK, but I really can’t trust it, so that’s OK then you do some work on not being able to trust it, but it’ll be different. My experience has been that life is not very much fun and that I really don’t want to be part of it, so then you go back and deal with that. So you just keep clearing things until it feels right to go in and be born again. But it is important to remind the subconscious that that’s what it’s going to refer to from now on, Gary Craig talked about writings on the walls and your birth is the biggest writing on your walls, so you want to trade it, when your subconscious is looking out there to a particular situation, they want it when it checks in to know “I’m totally loved and always safe, and I can’t get anything wrong, it’s always right”. Because then you go back and look at that situation and you make different decisions because you’re basing the decisions on love and safety as opposed to fear. Tania: Yeah and I think they are far better things to base our decisions on rather than a fear based one. Jacqui: Yeah, because most of it are basing our decisions on fear, aren’t we? Jacqui: Yeah, we do. So that’s how do we do rebirthing, Tania. Tania: Thank you very much for that. Just one final question, can you rebirth others? Jacqui: You can. So if you are a mother yourself, you can rebirth your own children. And I’ve done that with mine a couple of times, probably. Because I thought ‘you only need to do this once’ but I do retreats in Slovenia every year and some of these people have done the rebirth thing with me three times and they said each time it gets better because they’re in a different starting point. So they improve on it, if you like, each time. So if you were rebirthing your children, I would just imagine that they’re in the womb. Or what I do is I tell them what was going on with me when they were in my womb the first time around and what the birth was like and why it was like that, why I was like that, and I think it was nothing to do with you; you were always perfect, whole and complete. You didn’t do anything wrong. You were always okay. This was my stuff, so anytime you’ve based, your beliefs, vows, and decisions on my stuff you can let go now because it’s not yours. And then I rebirth them as I would like to have been able to be birth in the first time around and it was a dramatic change for both of my kids within a couple of weeks. The difference was really obvious to me. They had no idea I did it. Jacqui: I asked permission, I just said I was offering this on behalf of… I named each son if they’d like to accept it and I was very grateful that they did. And it makes a huge difference, so you can do it for somebody else. So you can do it for you mother. So you could say “even though your birth was like this, it was perhaps…” you might not know exactly, it was perhaps because your grandmother was in a difficult marriage or because things were difficult or whatever but that stuff is not yours, and you can let go of anything you based on it. So that they get a different response which means that your response to your mother would automatically be different because that’s not cascading now. Tania: yeah, it’s good to stop that cascading down families. I’ve gotten to a close now; I’ve been really enthralled by what you said because for some people may not be familiar with this kind of stuff and maybe it’s an eye-opening feeling, it’s very powerful. So if people want to find you, Jacqui, how would they do that? Jacqui: My website is www.jacquicrooks.com. So I’ve got free You Tube videos on there that will tell what workshops, I’m running, what retreats I’m running, what they can buy and I’ll be very happy for them to email me and have a chat, that will be lovely. Tania: Just spell the website address again. Jacqui: www.jacquicrooks.com. Can I just add one thing, Tania, which people might find useful? You can rebirth people who are no longer alive. So if you want to, you could go back and rebirth your mother, rebirth your grandmother, your father or your grandfather, whatever. So the fact that they’re not actually physically here doesn’t mean that you can’t do the healing on their behalf because it will still make a big difference but I think what we’re healing here, we’re healing backward as well as forwards. Because we’re breaking the chains for those who come after us but we’re also doing it for those who come before us. So I just wanted to add that little bit because my mom’s no longer here, but actually, it’s never too late to repair a relationship. Tania: This is beautiful. So thank you very much for being my guest today, Jacqui. I’m going to go away now and think about my beautiful pink and white Malibu feather boa. So you have a beautiful day and thank you again very much.